The delays resulted in frustrated Twitter comments—not a good look for the company, which had similar issues when tickets for The Force Awakens became available for purchase. Some even bragged about circumventing Fandango’s services in favor of MovieTickets.com or Atom Tickets. 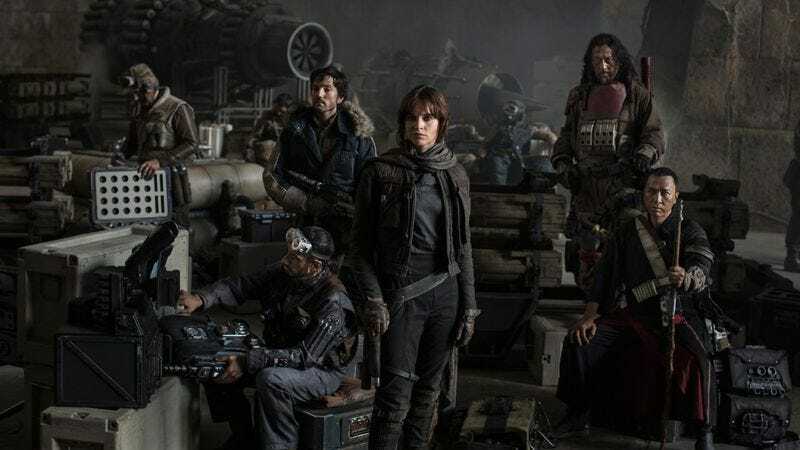 Rogue One isn’t expected to make The Force Awakens-level bucks in its opening weekend, and perhaps the fact that Fandango’s competitors weren’t hobbled is an indicator of that. However, it’s still predicted to make a lot of money:The Hollywood Reporter noted last week that it is expected to make over $130 million in its opening weekend. That’s a lot less than The Force Awakens’ $248 million, but it still would be the second-largest December debut of all time. Perhaps it’s the promise of Vader?